Business technology is the reliance on the information technology by all types of businesses to operate and optimize business activities. It incorporates a variety of hardware, software and services that keep business running, ranging from accounting to product development to customer communication. It helps small and medium businesses to look bigger than they are in the competitive market. 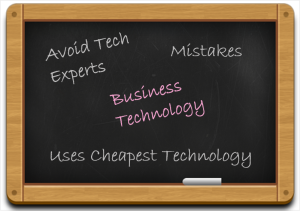 It depends upon small business’ needs that what kind of business technology is right for them and sometimes while choosing the one they make some common mistakes. Many business’ do not have any idea where the technology can drive their business to. It can eliminate human errors, get you closer to your customers, and reduce business costs. Most of the SMBs tend to overspend on the technology regardless of their requirements and objectives. Then they find it difficult to adopt the technology. The organized and formal process to adopt technology solves these problems. When you don’t have any idea, take an idea from the tech experts. Avoiding help doesn’t make any sense especially when business people try to evaluate suitable technologies. SMBs think of hiring a guy to fix technical problems who might be not professional with their technology. However, every technical firm provides good documentation in advance and easy access of technology as well as professionals for help. 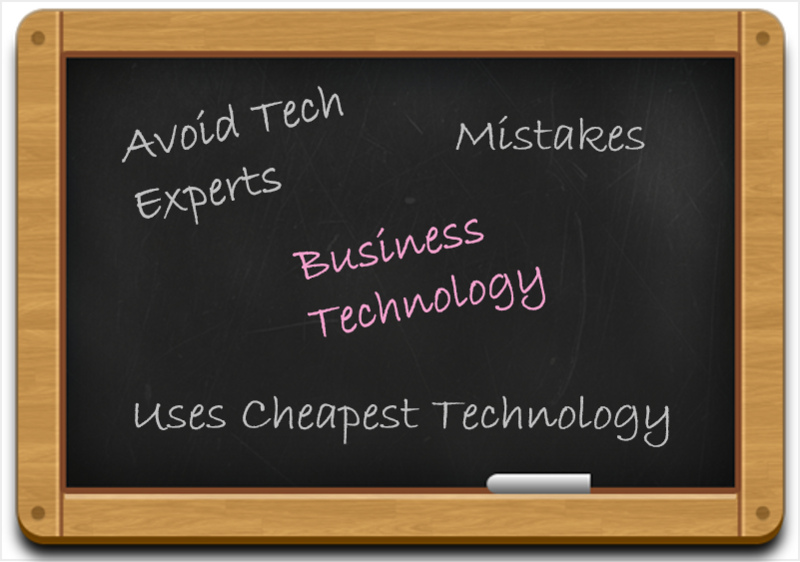 SMBs sometimes get misguided about the requirement of technology and thus they just focus on cheapest technology possible that might have fewer functions and features. Considering low budget, SMBs should focus on value above price. This is the most common mistake by SMBs. They purchase a product once and never think of upgrading while they should have all details about the purchased products like when to upgrade and how much it will cost. SMBs should have a research on products available and compare them on the basis of functions needed. Such research leads to the right choice of the required technology product. SMBs decision makers should ask and take advice from the employees about what would be the best product for their requirements. Because they are more likely to use products. One should not ignore their acceptance. Regardless of SMBs requirements, having an entire department dedicated towards IT drains resources, and with an abundance of service providers they can have the same service for a fraction of the price. They should check out service pages for additional information first. At first, when products are shortlisted, SMBs should see reviews by users and ratings by critiques available on the blogs or websites. These responses are extremely helpful for SMBs when they are about to give valued money for a technology product. These are the common mistakes but it doesn’t mean that you are not in need of help anymore. Technology always brings something unusual that small and medium businesses should be cautious about.